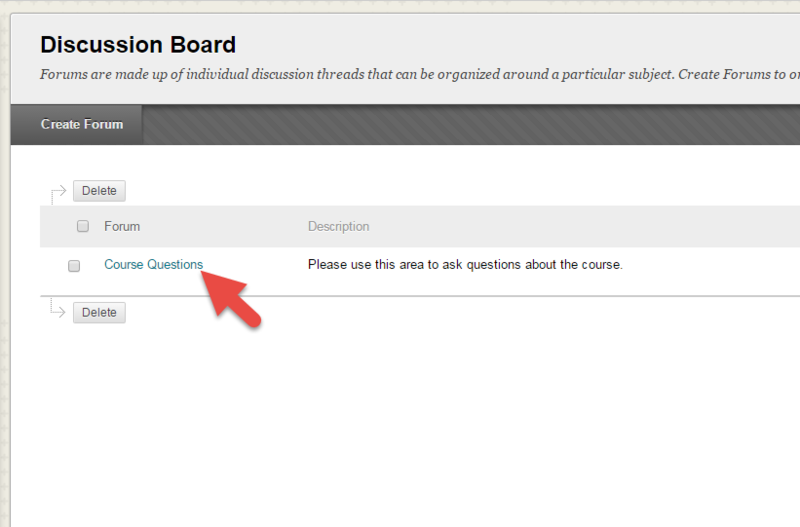 In Discussion Board, select the discussion forum title. 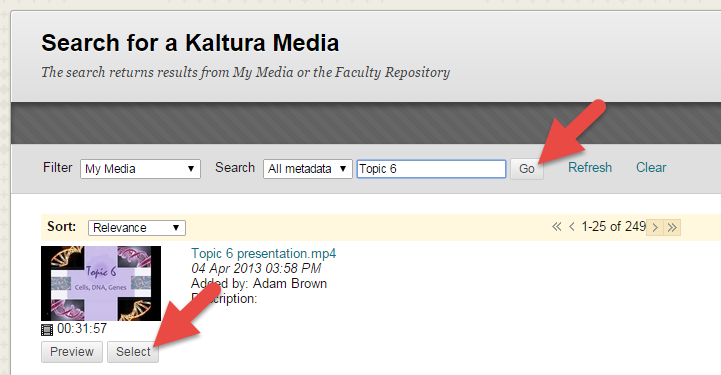 In your thread, select the drop down arrow next to Mashups and select Kaltura Media. Search for your video title and select Go. 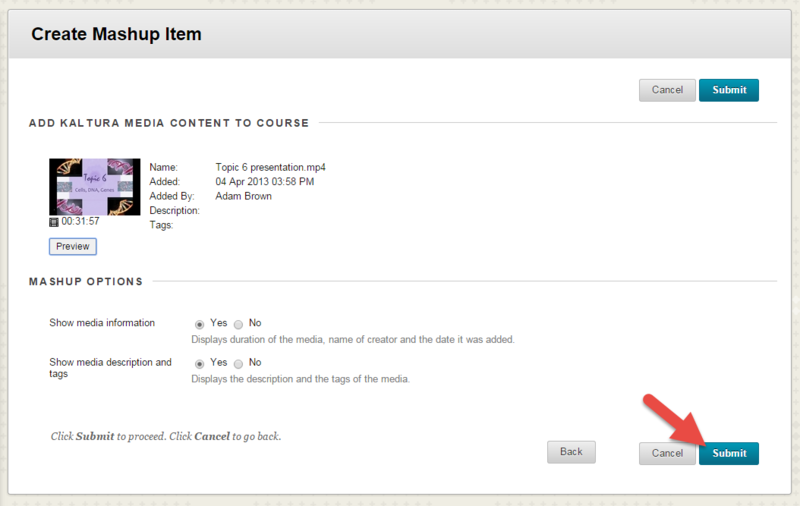 Choose Select under your video. 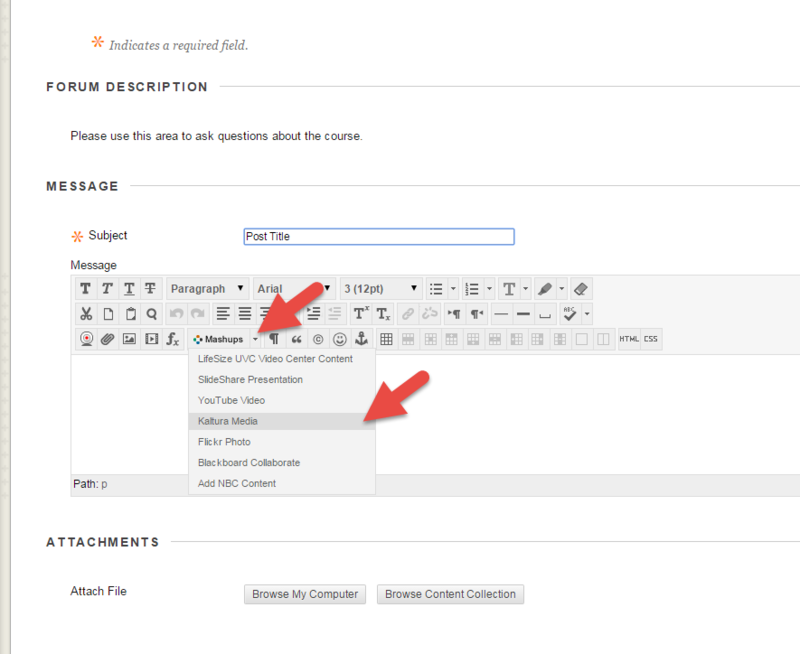 Select Submit to add the video to your discussion thread. Your video has now been placed into your discussion thread. 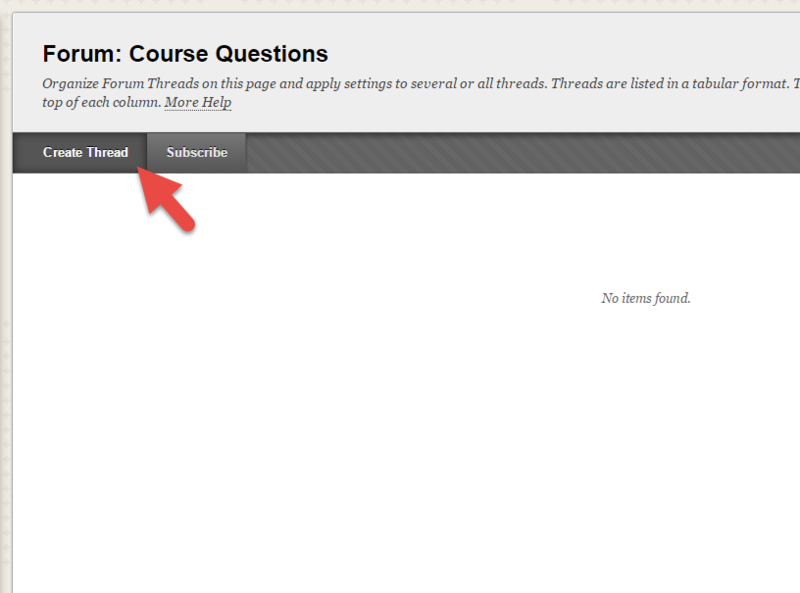 Complete your discussion thread and select Submit.